The all new 2019 Baleno Upgraded version will be getting striking new stance with aggressive front design. The all new 2019 Maruti Baleno gets Speed alert system, co-driver seat belt reminder and rear parking assist sensors. Maruti Suzuki India India’s top car maker today announced opening of bookings for the new edition of India’s most preferred premium hatchback, Baleno. New Baleno, the style icon of Nexa has been refreshed with a fresh sense of premium-ness and class-leading features which is set to retain its leadership status in the segment. 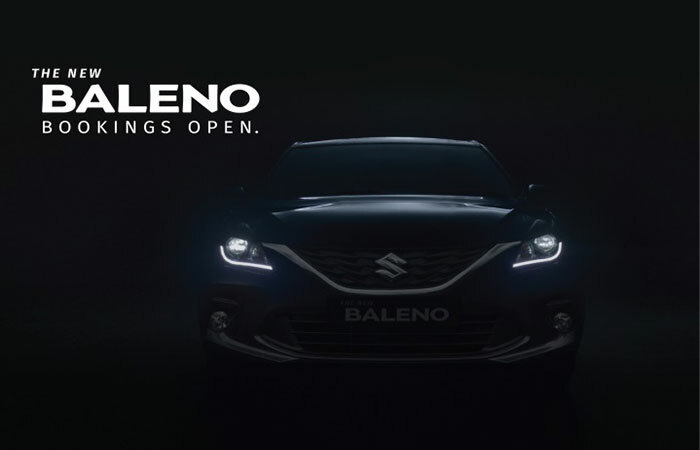 Encompassing all virtues that suit lifestyle of young Indian customer, Baleno will arrive in its striking new stance complimented with new and aggressive front design. The interiors are upgraded with refreshed premium ornamentation. The new Baleno will offer additional safety features like speed alert system, co-driver seat belt reminder and rear parking assist sensors. These are over and above the standard dual airbags, child seat restrain system (ISOFIX), Pre-tensioner and force limiter seat belts and ABS with EBD.